Mike Ragogna: Randy, it's an honor, thanks for the time. Let's talk about a group you're working with, North Of Nine. You met Jackson Guthy after an Ellen performance? Randy Jackson: Yeah, I was like, "Who is this kid, he's mad talented, what's going on with him?" MR: What was it about him that you saw? RJ: Well one of those things that struck me was that there are a lot of pop stars and I usually put them in two categories: There are pop stars and there are artists with commerce. He's kind of a throwback for me, he's an artist. It's the guys of yesteryear that had long careers as opposed to being pop stars. He writes, he plays piano, he's more of a singer-songwriter in that way and that's what really struck me, his singing and his writing. I like that the guy's not just singing pop songs, he's actually trying to be a credible songwriter and try to make something happen. MR: Is that the thing that appeals to you most when you're looking at new acts? Is it the depth? RJ: That's the only thing for me. I've had a long career in this and I've worked with some of the greats of the greats of the greats, thank god. I'm so blessed. I'm always vying and pushing for the artists. The pop star thing, yes, I want to have hits, everybody wants to have hits, but I want to have hits for twenty-five, thirty, forty years. I don't just want one today and then you never hear from them again. That does not interest me. I think it's all about the long haul. It's about the journey, not about the sprint, of course. As a manager in order to even think about getting involved with any artist you have to be able to see the long haul. I'm honestly going to tell you the music industry is not in the best shape. You've got to look at an artist and say, "Okay, can we go the distance here?" It may be a while before we have some real commerce happening, so you've got to really believe in the music and believe in the act. That's my thing. I like artists. I'm always going to live and die by that, you know what I mean? MR: Having worked with many acts, do you ever see super-talented artists who just shoot themselves in the foot? RJ: A lot of them do. It's most often. Ego is a scary thing. You wake up every day and tell yourself you can do what you want to do, but hopefully a couple of days later you wake up in reality and say, "Hey wait a minute, I can do that if I'm willing to take what goes with that." Take the bitter with the sweet as they would say when I was playing with a lot of blues guys back in the day. Can you take the bitter with the sweet? You want that sweet? Take some bitter with it, too. Everything has a zen sort of yin-yang balance to it. MR: When you worked with Jackson in the studio, I imagine he was in the spotlight. RJ: Oh yes, one hundred percent. He definitely has opinions, he's definitely talented, he's definitely in full control. This is a great new young band. This is a great beginning to have. I think these guys have a huge future. Or else I wouldn't be involved. MR: He's also had a pop history, having opened for One Direction and other high-profile acts. RJ: He's had a pop history and I think that's kind of what led him to this. He saw a lot of younger artists breaking today and of course I urged him and said, "Look, you can either go that way or you can try and become that credible artist that has a huge career as opposed to the pop star that may have a hit or two right now and then you never hear from them again. Unfortunately a lot of the people that are going on the charts today you may never hear from again unless they have a hit. Pop stars are driven by the hit song. Artists are driven by a hit song plus you want to know more about them, they're interesting, there's a lot of depth there, you want to read about them, you want to learn everything, you show up if they have a hit or not. MR: When you were working with Jackson and the band on "We Ride," what was the evolution? RJ: It's amazing to see them manifest and develop their sound and work on it. What I look for in artists is instinct. Artists have great instincts, they don't know everything to do right, but most decisions they make are really good musical decisions with arrangements and everything. I'm really happy with where this band is and where we're growing. I really think big things are ahead for them in the future. MR: And of course, you're going to stick with them. RJ: Yeah, dude, come on. If I buy in, I buy in. But I buy into the artistry first. You can get a hit song from whomever and put it somebody and say, "Wear this, stand here, shake like this, let's get a choreographer in and let's go to the radio." That doesn't interest me. That's a little boring for me. MR: Randy, in my opinion, on American Idol, you've been the voice of sanity for many years now. MR: I feel like because it's sort of a cattle call of aspiring pop stars you've gotten a very up close perspective of that. RJ: Well, yeah, and what a show like Idol really is a big spotlight for all of these kids. Some of them are pop stars and some of them are really artists. After being in the spotlight and being discovered by the show and America and having fans and people vote for you it's up to them what they can do with that after. That's what the real test really is. The show is only one part. The show is the big spotlight to expose your talent to the world. What you do with it after that is really going to be up to you. You have that, that's opened the door for you, now walk in. What you got? MR: I have nothing but respect for you, but I have to confess that American Idol has become something of a punching bag between me and many artists I've interviewed. Artists are worried that kids are watching this show at home and believe this is what you do with your musical talent, this is the path. RJ: That's why I'm setting the record straight for you. The idea is it's a spotlight. It's the search for the next superstar. You find somebody that you think has the talent and it's what they do with it afterwards. The great thing about Idol is that people can look at that and blowback all they want, but there's many roads to Rome and none of them are the gods' science; they're all roads to Rome. If you want to be in a band and get on the road and play for one person a night for ten years and then play for five and take twenty years to build it or however long it takes, that's one road. Now you have a lot of these TV shows and they're another road. And as I said, it's only a spotlight because people think it's a cure-all. It was never meant to be a cure-all. Guess what? Kelly Clarkson had a spotlight. She was the girl that was very unassuming. You never would've thought she'd become America's sweetheart. Whatever labels were signing, they weren't looking to sign her at the time. She came, she had the spotlight, and whoa, she made something happen with it afterwards. Carrie Underwood, Adam Lambert, Jennifer Hudson, that's what I'm saying. What can you do afterwards? It's up to you at that point. You've been waiting on a chance, a break. These shows are a chance. You've got a break, you've got the spotlight, you've been crying for the spotlight and you've got it. What are you going to do with it? That's what it really is. People are going to blow back because they think that it's easy and that all this gives the wrong message to kids. No it doesn't. Look at all of the people who have been on these countless numbers of shows that nothing happened with. That shows you that not even the spotlight is easy. As I see it, we're the only show where anything has happened with these contestants. Idol must be doing something right, I think. MR: Randy, what advice do you have for new artists? RJ: I think you've got to learn everything you can, I think you've got to be unbelievable at your craft and I think you've got to figure out what's the star in you. And I think you've got to stop watching TV and watching other people and saying, "Oh, I want to be like that." No, who are you? You've got to find the star in you. You may be a better dancer than you are a singer. Okay, so work that dance thing and find a great song. You've got to figure out what's going to be your angle. What's your lane? Everyone competing for the same lane in the same area is really going to be tough. Honesty is a tough thing. Sometimes people have to swallow a bitter pill that, "Hey, maybe I'm a better songwriter and not a singer." "Hey, maybe I'm a great singer but I don't write great songs, so let me find the songs." "Maybe I don't have any of that but I've something really quirky." You know what I mean? When you look at artists today that have careers, you can look to the gods. You can look to the great Arethas, the Mariahs, the Whitneys, the Celines, the Dylans, the Springsteens, the U2s and Coldplays, Radiohead--a band that I love--I love all those others, too. You can look at all those and see something unique about them. You've got to find something that's unique about you and see how to really put that forth and make that appetizing for the public. MR: Beautiful. 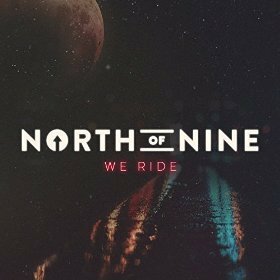 You're working with North Of Nine right now, what's your prediction for them? RJ: I think these guys are going to do well. I think it's taken a minute to get here but I'm really, really happy and satisfied with where we are and we continue to grow and build. MR: Nice. What about Randy Jackson's roster of working artists? Is it growing? RJ: Oh, yeah. We work with quite a few artists, I love new artists, it's what I love the most because my favorite phrase is "What's next?" I love trying to help to be part of that discovery mechanism of, "What's next?" I invest a lot of time and energy in that, you know what I mean? MR: What advice would you have given to a younger Randy Jackson? RJ: Well, listen, a lot of great people graced my life and gave me a lot of wisdom and a lot of insight and helped me. When I was fifteen years old playing in a party band a guy said to me, "Listen, all these great older people that you're around? Be the sponge and figure out the good things you can take with you and learn from every experience that you have." When you talk about evolution, that's all it's been for me. It's been all about growing and growth. You've got to evolve. That's my "What's next?" thing. MR: And what's next musically for Randy Jackson? RJ: I play all the time. I may drop some music here in the near future. I'm always creating and always playing. Music is my soul, it's heart of everything I do. It's my therapy and my muse, you know what I'm saying? MR: I hear you. You're awesome, I really appreciate the time you gave me. RJ: Thank you so much for your kind words, man. Thank you. 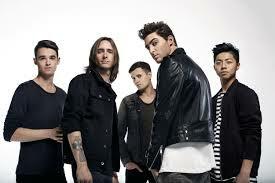 Mike Ragogna: Jackson, you must be amped about your single "We Ride" and that he band is getting their shot. Jackson Guthy: Yeah, we're really stoked! We've been working so hard, so it's great to finally see everything materialize. "We Ride" shows our softer side. It's a track we hope will demonstrate the diversity in our sound, since there are uptempo tracks in our repertoire. MR: What is the band's history, how did North Of Nine come together? JG: I had the opportunity during my solo career of opening for a lot of huge bands such as Five Seconds of Summer and One Direction. During a tour with Cher Lloyd, I met Rob who is the drummer in North of Nine. Randy and I had been talking about this band idea for a while, but when Rob and I met, it started to come together. Rob and I were able to get creative and work with other musicians--the other guys in the band were the best of everyone we played with. This group just fits really well together. The band and I got along on every aspect. MR: What is the writing process like? How do you all assign parts and come up with arrangements? JG: I write all the lyrics and chords. The guys typically will create their own parts. Then we just jam on it and filter in what works and what doesn't. It gets pretty exciting when we are all writing and playing together in the studio. JG: We don't have a long history together, because we are relatively new, but it seems as if we have playing together forever sometimes. I am sure there will be bumps along the way. Getting to know each other and enjoying the time we spend writing and playing has really created a bond. We are becoming better friends every day. About the name--A lot of the name derives from my mom. She saw an astrologer when I was born, and it turns out that I was born in the same year that all nine planets were aligned. When she told me that story, I thought it was really cool. My mom also said, a really important part of life is finding your true north, the one thing you are striving for, and that has always resonated with me, and helped me along the way. MR: Which brings us to your association with Randy Jackson. So how did the band come to his attention? JG: I have been working with Randy for almost two years now. I met with him after I performed on the Ellen show the last time. Randy has been amazing. I have been blessed to work with a lot of amazing people. Randy has let me be free with my creative side, which has led me to some of my favorite ideas. I have a very good feeling where everything is going, and I'm excited for the future with myself, as well as North of Nine. MR: What is the most influential thing he taught you or what did he suggest that helps the band as it moves forward? JG: A really big thing with this process is just learning how to work with one another. Also, compromising with things. Randy is one of the most respected producers and songwriters in music - and he was long before American Idol. He has great instincts, and really is able to help us, as a band, take our music and our ideas to another level. He can spot a song and a melody line like no one else. MR: Do you find that having a recording deal and being endorsed by such a powerful music industry icon affects how the band operates or proceeds with creating and recording music? By the way, what is the recording process like? JG: Names are names, but at the end of the day, it is who has the same vision, and wants the same goal for the band and me, and that is Randy. We really have a great creative understanding. But you know it is humbling that we have the amazing support that we do. We will NOT disappoint. The recording process is fun. We like to keep the music about the music. To the people who think it is a job, we do not think it is a job. We love making and recording music for our fans. We record everything at once to get a live take (vocals, instruments, etc.) then we sit back and listen to it and make any changes we want. Then each of us record our own instruments individually, giving us time to be creative with our work. Then we finish with the vocals. Before mixing and mastering. MR: In yours or the band's opinion, are there early musical heroes that have influenced the sound of the band and who are those heroes? JG: I think we have a broad range of music that we like. It really stems a lot where we come from. We are all from different places around the country, but a few names we all like are, The Beatles, The Rolling Stones, and Coldplay. MR: Technically, you're not new artists, but what advice do you have for contemporaries? What would you suggest to new artists? JG: You get said "NO" to a lot. Also, a lot of ups and downs, good and bad times. At the end of that is the ride and that is what helps you push that bolder up the mountain, because the view at the top is amazing, and it is worth the journey. Don't let people tell you who or what you should be. Just keep writing the songs, and when the right one comes along, you will hear it. That's when you know it is time. It's time for NINE. MR: [laughs] Jackson, how did your view of how to approach music and your own creativity evolve from the days of being a solo artist to being a member of a band? JG: Firstly, I have always written songs, and have played piano since I was four-years-old. So, that's how I work and that hasn't changed...the ideas come out of my fingers onto the keys. That was the beginning. The label I was with as a solo artist really wanted me to be a teen guy--and I kept trying to make that work. But I really felt as if I'd be more creative with a band. And now there is this group to bounce off of--and it's synergistic--we are greater than the sum of our parts. Music is constantly evolving. You will learn new things on the way and there will be battles and changes. At the end of the day, you cannot lose yourself because you're the only reason why people care about the music. What makes you, you, is what you put into it the most. If you let too many people change you based on what will sell, you may get a return or feel happy, but it will be short-lived. I dream of the day when I will be 70-years-old and still playing sold out shows and writing music. Also, inspiring people and helping them get through a rough time. MR: What would the ideal future for the band look like? JG: Keep being more and more creative. Let the music evolve--the melodies and lyrics. Hopefully, people will hear the meaning behind the songs, and they can find that our music helps them through life. I've been blessed with these incredible bandmates, and people who believe in us, so we just want to make everyone proud. Mike Ragogna: Jim, the video for "Honest Town," to me, speaks to how much Simple Minds has matured. It shows Simple Minds in 2014 and I appreciate that your music and band are not aggressively trying to appeal to fourteen-year-olds. Jim Kerr: If there are any out there, we'll have them as well. [laughs] But you're right, I think that what you see is what you get. A few years ago, we sort of cut ourselves some slack. We're not the worst. Let's get on with it, let's get our music out there, let's get people hearing where we are now and seeing where we are now. We've been having a ball doing it and we're having a ball getting the kind of reactions we're getting. MR: The new album's titled Big Music...just how big is this music? JK: I'll tell you how that came up, it's a fun story. As we were wrapping up things for the album in the middle of last year, we had cut all the songs we were thinking of cutting and there was one weekend to go and the keyboard player Andy Gillespie had gotten into the vaults. We always have songs in the vaults; ideas that we thought were great but slipped through our fingers and we either never got the right lyric or we never found the missing piece, anyway--he came up with this piece of music that became "Big Music" and he said, "You've got to go back to this. We've got to look at this again." I said, "That's from ten years ago! We've been back there four times, we always end up chasing our tails. We've only got a weekend!" He said, "Well why don't we spend a weekend working on it," and I said, "I'll tell you why, because I've got to see Prince in Switzerland. It was organized months ago by a right beautiful woman and I'm not missing it." He said, "Well I'm going to work on this and when you're out there I'll send you something and maybe you'll have a few hours." I said, "Andy, go ahead." Lo and behold the next day he had found the musical missing piece and I think, "This sounds great but the pressure's on me now really to come up with the lyric because he's going to want to do this when I go back and I don't want to let him down. Anyway, I'll think about it on the plane tomorrow." Procrastinating until the end. So I go to see Prince in Montreal. It's always great to see Prince but it was one of those Prince ones where he doesn't play anything you know--twenty-minute bass jams and stuff. I'm standing in the crowd and I'm sort of speaking to myself, "Give me the f**king music. Give me the songs. Give me the big tunes." I'm not getting it but it's still Prince, it's still cool but I'm not hearing what I want to hear. By the end I'm really pissed off. By the time I got on the plane the next day I'd got over Prince and I'm thinking, "I still love the fact that I care so much about music." We've been doing this for a while, we've been making music for all of our lives but it's still great that we're so passionate about it. As I was thinking about that, I thought, "I'm going to write about music and what it does to me and why I like music, the romance, the inspiration, this and that." Lo and behold we had a song. And once we had the song we thought, "This is going to be the album title," because it's easy for the Germans and the Italians to say. MR: [laughs] It's like a celebration of friends old and new and a jam of sorts. JK: Yeah, there was a real regrouping, you're right. The thing is, it's been an interest for a few years for us. We toured prolifically but it was like leaving a little pocket of existence because when you're touring it's so much about the catalog and getting out and really giving the story of the band up until now, which is fine, we love that, but it's a boon to us to be writing another chapter. We don't just want to be a museum piece. All that stuff I just said is great, but it's also easier said than done. You have to come up with tunes that can live up to the big tunes that you've already got. In the hours when we weren't on stage in the last four or five years we've been trying to come up with this thing that ticked what we thought were all the boxes. First of all songs that had the instant impact, songs that made you think of classic Simple Minds but songs that sounded contemporary. The album had to feel full-blooded, it had to feel full quality, all of that stuff is so easy to say, but to do is another thing. We put ourselves under pressure to try and come up with something. You try to do an album every four or five years, but now no one cuts you any slack, no one's got the time to cut you any slack. You have to get on with the goods, and we hope that that's we're doing with the album. MR: When you look back at that classic Simple Minds you talked about, what is the main evolution in your opinion? JK: I think it is the songs. Yeah, we had songs back then, but I'll tell you a story about our other band. We had this hell of a career, this great success and then in the nineties the wheels started to come off, as happens to a lot of bands. Original members start to leave, new bands come over the horizon and from being the big cheese suddenly no one's interested. That's the thing, you run out of gas, you run out of steam and what do you do then? Do you just run around like punch-drunk boxers who don't know what else to do, or do you call it a day--REM--or do you say, "Look, we're on the canvas here, never mind being on the ropes. Are we going to pick ourselves up and make music, the core, central thing?" For us in Simple Minds, the last five or six years have been about doing that again. It's been about a renaissance based on the fact that we make music. Every day now, we're either playing or recording or sound checking, doing all the social networking stuff, writing, whatever. It's become the most important thing in our lives again. People say you don't get a second act in life, but we're having one. MR: That's nicely put. Everybody has their personal favorites; could you give me a handful of tracks from Big Music that really do it for you? JK: Yeah, the last song on the album, "Spirited Away" I think encompasses that, and indeed the first song "Blindfolded," is a real great scene-setter. But I mentioned "Spirited Away" because it's probably the most conversational song in a way. The opening lines, "I'm not a complicated guy, I like things simple as can be." That answers a little bit of your other question; I wouldn't have had the confidence to say that when I was younger. I wouldn't have been able to do it when I was younger because I hadn't lived a life. I have lived a life now and I've got firsthand experiences and the underlying emotions that go with them. MR: Do you think that's the element of maturity to this? A personal history gives more depth from which to write? JK: Well, it should. When we started out the band the only old guys who still played were the old blues guys. Even the Rolling Stones weren't that old then. The thing about the old blues guys, you would never say, "Why do they still do this?" It's written on their faces, they do it because that's who they are. That's how they see life and that's what life has given them. We've been writing the songs for forty years now and I've got to accept, it's gone on a bit too long to be shallow at times. Well, I think so. Some people might disagree. It's the real deal, this is who we are. You've got your own experiences, they can be anything; a conversation with another, an image you've seen, a play that you went to, a sporting metaphor you've heard and you think, "That'll work as a song." It all goes into that pool and that's what you're drawing on. MR: And I'm sure that thirty-five years of Simple Minds affects your personal life in a way that deepens the pool as well. JK: I said to Emily that I think there is a point where you go, "This is my weakness, it's always going to be my weakness, that's what it is, but you know there are a few strengths there, so let's work on those." Cut yourself some slack. Give yourself a break. It'll set you free and there's a strength to that as well as you work on that ever more. I think when people sense that you're comfortable with who you are and what you do, whether it's on stage or whether it's in what you produce you get a confidence, especially when it's fully committed. Neil Young said, "What you do when you're young doesn't really count." What he means is that when you're young you've got energy, you've got all the time in the world, you've got nothing to lose, you're listening to music and making music twenty-four hours a day and there's nothing else in your life. Fast forward a few more decades and you've been hurt a few times, you've gone up and down, dreams have faded, things you've invested in emotionally haven't panned out, your career might have gone down in the pan. It's what you do then, he says, that really counts. And I kind of agree with him! You can get all bitter and fucked up and think the world owes you something or else you can pick yourself up off the canvas and go, "All right, let's go at it again." MR: Does that make listening to your first albums like looking at baby pictures? Do those projects still resonate with you? JK: They do, I kind of marvel at them in the sense of thinking, "Where did you get the balls to come up with this?" Essentially, we were inventing ourselves. We were not only inventing the music, we were inventing ourselves. You think, "Where did you ever get the idea that not only you could do it but that people would be into it?" I'm reading a book that's been out in your neck of the woods for a while but it only came out in the UK recently, it's called Love Goes To Buildings On Fire by Will Hermes. It's basically five years in New York that changed music from the early seventies to the mid-seventies. It talks about all those guys in bands then and how they were inventing themselves or their world and I guess we caught on to some of that and did likewise. That's the narrative that I see when I listen to those earlier records. What I marvel at is the vibrancy of the situation. JK: Prepare to starve. If you get beyond that then great, but if this is what you want to do with your life then great, but don't do it because you think you're going to be famous and all that stuff. Chances are you're not, but you might come up with something great and you might be a happier person, but you're going to starve for a while. I tell that to my own nephew who's in a band just now. I see some of the kids in Glasgow when I go over there and they ask about it--well, if they ask me. I would never vouch without them asking--but if they ask I say so. Don't do it because you think you're going to be making tons of money. Those days of music have kind of gone. Do it if you think it's going to make you happy. I tell them you don't have to be a mega rockstar. If you play Saturday nights and you're happy with that then great, you can be a rockstar in your own world. MR: That's a very healthy perspective in an environment led by The Voice and American Idol where it seems young people are more concerned with "making it" than making music. JK: That's the truth. Most kids who end up on those shows don't have a career afterwards anyway. Go learn your chops. Go woodshed. Be great. Learn to read music, learn to write. This is coming from an ex punk rocker who still couldn't tell you a B from a C but given the opportunity again I would. You have more colors to your palette then. JK: What I would've told him wouldn't have mattered because he wouldn't have listened. [laughs] He just wouldn't have listened. Even with a gun put to his head he still wouldn't have listened. JK: We kind of made up our minds. It was like, "This is it, we've thrown everything we have into it." At the age of fifteen, we had discovered this thing called hitch hiking and we thought, "Wow, these roads in Europe connect up! You can be in Glasgow one day and a few days later you can be in Milan or Munich. There are worlds within worlds." Once we had done that there was no going back. We didn't dream about riches, we wanted to be in particularly a band that was great live and we wanted to take a run at walls. What can I say? We won the lotto in the sense that all these years later we're still working on that challenge. JK: Yeah, it's true. Sometimes it works. MR: These days what is it like saying, "Hi," to Chrissie Hynde and folks that you knew in the past who were close to you during the run up? JK: She was great. I see her quite a lot because we're grandparents. Our daughter Yasmin has kids, so we go to the park together with them. I saw her recently because we're in the same studio and it was great. My guys love her as well. We're still such fans of Chrissie and all that. She came in and worked on a little acoustic thing, something that she does regularly that we had never done. She and I have a great appreciation society going on just now for one of your American bands called Future Islands. We both love them, so she'll send me a link, "Check this, they were on TV here." I spoke to her only a couple of weeks ago. She's the greatest. She's a lousy cook, but she's the greatest. MR: Thirty-five years, can you believe it? JK: Looking at the mirror right now? Yes. Sometimes you go, "I don't feel changed at all," and then you look in the mirror and go, "What going on?" MR: Jim, what's the story behind "Honest Town"? It could apply to a lot of different things. JK: Well, it can. I'll tell you the story, I hope you've got a handkerchief next to you because it's kind of sad. Four years ago my mom passed away and I came back to my hometown of Glasgow to be around the last couple of months when she was getting frail. I stayed with her and dad. I was hanging around and obviously I wasn't feeling great because of what was going down but she said to me, "What are you doing hanging around? You should do some work." I said, "The guys are all in different parts of the country." She said, "There must be someone around Glasgow to work with. You're never happier than when you're working." A mutual friend introduced me to a fellow called Ian Cook who is part of the band that's been getting a lot of success in the states this last year, called Chvrches. He's lot younger, he's a kid, but I said, "Yeah, I'll go and see this guy Ian." I'd heard that he liked early Simple Minds and that he was talented. So what I would do is I would hang around the house during the day with mom and then during the evening I would go over to Ian's and he would say, "Yeah, I've got this and I've got that." He had some lovely melodies, one of which became the melody for "Honest Town." The week mom passed away, a few days before it was kind of spooky, she'd come downstairs fully dressed, looking great, the light was back in her eyes and she said, "I want to go out." We were like, "Wow!" She hadn't shown this kind of liveliness for a very long time. The only problem was there was a snowstorm outside. Dad said, "Look, you can't go out, they said on the radio no one's supposed to be on the roads." She looked at me and she said, "I want to go out. I'm going to a Christmas dance next week, I need something to wear," so I said, "All right, let's go into town," but I was thinking, "What the hell is this?" So we went out and it was amazing because not only did the snow stop, but the sun came out. The roads were empty, just us, and she was oblivious to the weather. She just wanted to get in the car and go out. We'd always lived in the same part of town, so the road we took went past all the landmarks of her life and many of mine--the school we went to, the first house we had, the factory she worked in when she was a factory girl, where she met my dad, all this stuff and as we were passing them she was talking about them and how she loved her life and loved her city and she said the words, "It's an honest town." I thought, "That's beautiful." The sun was coming up and all that stuff, from what was a very sad experience it was just suddenly joyous because I could hear her talk about how she'd resolved and wrapped things up. That became the song. It was an amazing, magical thing to have. JK: I've been thinking about. People say, "Do you think it'll get big?" and I say, "if she's got anything to do with it, it will." She's our biggest fan. 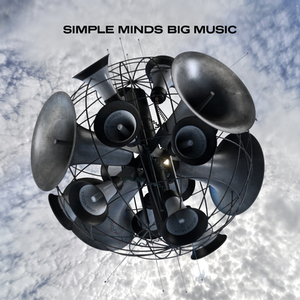 MR: What's the future for Simple Minds? JK: It's really pretty simple. We want to be better, we want to write better songs, I want to be a better singer, I've never been a great dancer, there's room for improvement there. It's still up to do. JK: [laughs] We can look at that. Mike Ragogna: Ben, your new album Rattlebag follows your critically acclaimed debut solo album, Shapes And Shadows, both albums teaming you with your old pal Sam Genders. How did the collaboration work this time out and was it recorded? Ben Ottewell: The songs on Shapes And Shadows were a collection that spanned six years. Some were written with Gomez in mind and for whatever reason didn't work in that context and some, like Blackbird for instance, a vague idea that I pulled together with Sam for that record. 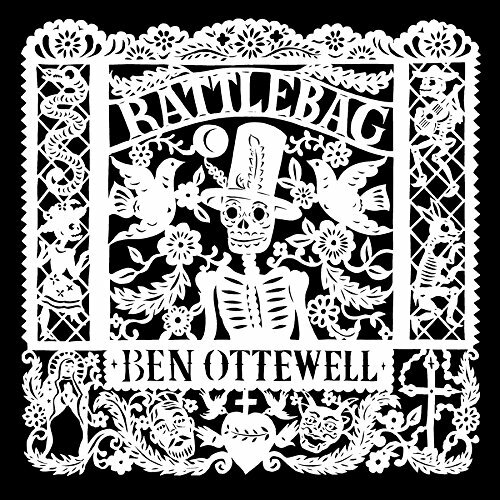 When it came to writing for Rattlebag, I started afresh and all the songs were written specifically with the album in mind over a twelve month period, perhaps making the album a little more cohesive. I'm a great believer in the power of the riff, not just in the bombastic Zeppelin sense but also the more cyclical blues or folk licks, and most of the songs are written with a riff as the foundation. The test was generally if I could play it repeatedly without getting bored and remember it in the morning. Melody and lyrics always come later. Once these ideas were formed, some a just a verse some almost full songs I'd take them to Sam and we'd finish them. He's a great lyricist and arranger and I've always worked better in collaboration. The recording took five days in Los Angeles with producer Will Golden, the other key ingredient. Will and I have a great understanding and a similar aesthetic, basically the motto was "keep it simple." We got in some great players and Clay Blair who is a fantastic engineer. It's the most fun I've had in a studio since those early Gomez records. MR: You offered Rattlebag's featured track "Red Dress" to your fans as an "Instant Grat" track on iTunes, those fans naturally being a combo of the Ben Ottewell and Gomez camps. Being the artist, from your perspective, what separates your Gomez persona from your solo artist approach? BO: As the one steering the ship there's obviously more control as a solo artist as well as more scope of expression. This is not to say that Gomez is in any way stifling--rather that with the band, as there are five collaborators with different influences, the results will always be a more eclectic mix. MR: In discussing "Red Dress," you've said, "It's a song about love, conflict and the armor we wear to get by, how sometimes surrender is better than continuing to fight." Does the song have a personal connection to you, maybe from real life events? Are there more songs on the album that may be more autobiographical than not? BO: All the songs have a personal connection and all, save perhaps "No Place," are drawn lyrically from real life events and emotions--be it literally, or through allegory. I try not to be overly direct lyrically and try to use phrases that sing well, rather than always be a slave to meaning. Often what I'm really singing about will only become clear to me later when I revisit the songs, playing them live for instance. MR: It seems Americana and folk play a large role in Rattlebag. Who influenced you musically in your early years and do those artists or acts tie-in to where you took this album? BO: My parents were both huge music fans and grew up in the sixties so I was listening to Dylan, The Beatles, The Doors, The Stones, etc., as well as Otis Redding, Sam Cooke and the early '70s stuff: Neil Young, James Taylor, The Band, CSN--the first record I played to death. My dad also fancied himself as a bit of a beatnik so there was always Jazz and Blues on the turntable and my mum was always singing Joni Mitchell tunes. Later I got into Led Zeppelin, which I've never got out off, the way Page arranges guitars was probably the biggest single influence on me musically. Stylistically, Rattlebag was intended to be somewhere in between JJ Cale and Led Zeppelin III. MR: Is there anything in the news or in general that has your attention lately in addition to making and performing music? BO: We live in crazy times; ISIS, Ebola, widening inequalities, battered social services, its hard not to pay attention. MR: Is there one recording or song on this album that you think might be a hint at where you're taking your solo music in the future? BO: "Patience and Rosaries," darker, blues. MR: What is it about Gomez that resonates with fans to this day? What was the creative mix that made Gomez work? BO: The eclecticism, the fact that we were never part of a scene, the tunes, the inclusivity, the lack of ego, the playfulness, the obvious fun we were having with the whole thing. I think our music became a soundtrack for a lot of fun times for a lot of people and so becomes associative - I've had a staggering amount of people tell me they played us to death while traveling or at college. How and why it worked so well is hard to explain, we were essentially five friends who respected each others talents, knew how to have fun and had no blueprint. BO: Be good and be lucky. 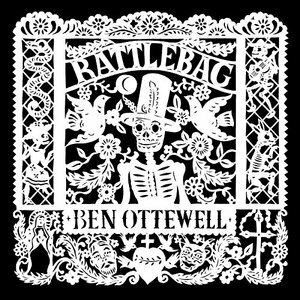 MR: Will the worlds ever merge, those of Ben Ottewell as a solo artist and Gomez? BO: I can't imagine that they'd want to be my backing band! MR: Ideally, what would you like the future of your solo career to look like? BO: A wide, open space. "It used to be that videos were meant for highly commercial acts who had a single to push and huge budget. I never thought a video mattered overall in the presentation of the song for a folk artist. We made our living off the left end of the radio dial and on the long trail of a highway. But today, I think videos are the most important way of presenting your music to the world...bigger than touring, streaming and radio. I'm recognizing that every song I write and the important songs from my back catalogue need to have a video for people to discover them with proper impact. The creative energy for the direction has to come from me, or there will be a disconnect between the songs integrity and the video. "Fortunately, the best way to shoot the video for 'Drive-in Movie' was a home movie style approach that took advantage of the versatility of the GoPro 3+ Hero camera and the music's story line. The only expense was the car rental and the admission to the amusement park. "Luckily it turned out that this choice the most authentic way to present the song AND the most affordable. The storyboard made it obvious that the approach was perfect. The video has the feel of a couple taking a home video on a wild vacation spree. It's selfies, panoramic views, roller coaster rides. It's the movie you would've shot if you were on this very same vacation. It made the emotional content of the video feel authentic, like it was a real moment. I didn't have to pretend to be mouthing the words or stuck somewhere cliché playing the guitar to the track, which induces a feeling of posturing on a song this earnest. "We didn't have to look hard for settings in Central Virginia-- there were great looking train stations and roller coasters and drive-in movie theaters within an hour radius of where I live in Charlottesville. Laurie MacAllister graciously agreed to tag along and to play a role in the story and help shoot the video. And the Go Pro 3+ Hero camera captured both cool vistas and the homemade vibe. It clearly wasn't shot with a crew and lights and make up, but how does it make you feel when you watch it? Do you laugh? Do you say 'Wow' at the vistas? This was so fun to shoot and I knew we were getting away with doing it for free. "Virginia is a beautiful place. We shot in Crozet at a beautiful home, in Lexington at Hull's Drive-in Movie, in Staunton at their historic train station, and King's Dominion in Doswell. Hope you enjoy it." From the release "Chasing Beauty"